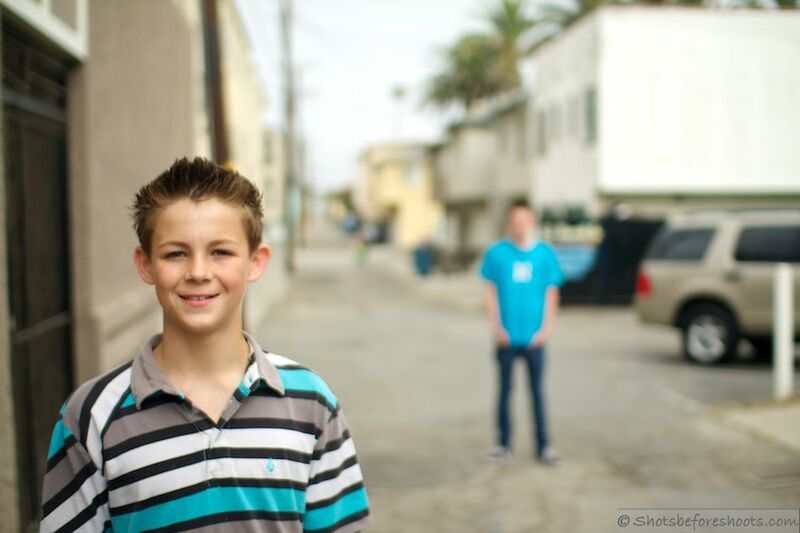 We were supposed to meet up with Brayden and Christopher for a portrait session in Huntington Beach. We accidentally scheduled our shoot on a day that HB was hosting a huge event. It took us 45 minutes just to get down Main Street, not to mention the hoards of people on the pier itself. Luckily, in southern California we’re never more than a 15 minute drive from another pier, so we relocated to Seal Beach. A last minute change of venue is always an added variable that can cause problems, in addition, the boys were a little camera shy. However, after a bit, everyone got settled and we ended up getting some really great shots. Since they were nervous to begin with, we tried to give the boys some instruction on how to pose without being overbearing so that the portraits still came out looking natural. We did the first half of our shoot on Main Street. 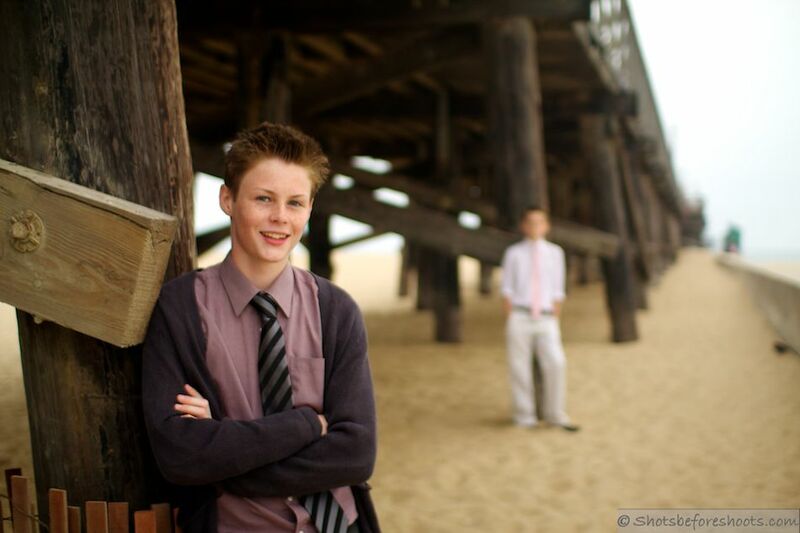 Later, the boys changed clothes and we finished up along the pier.